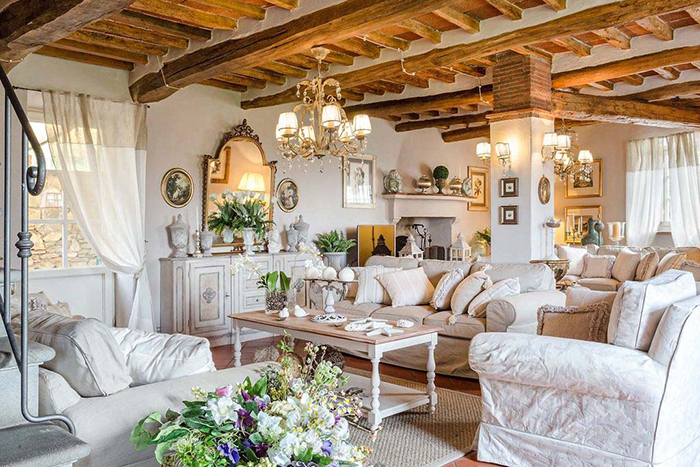 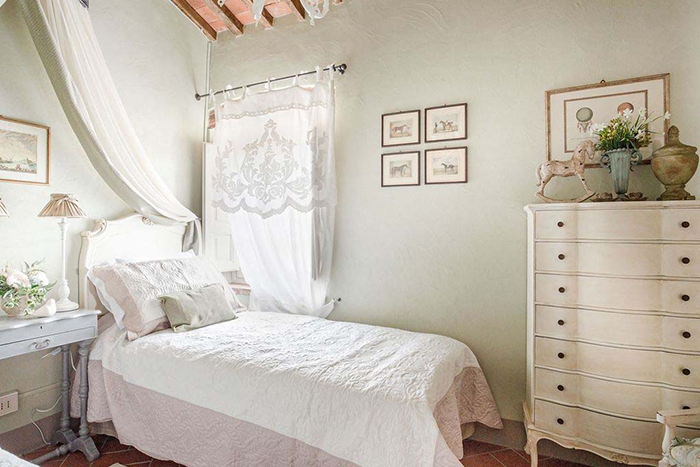 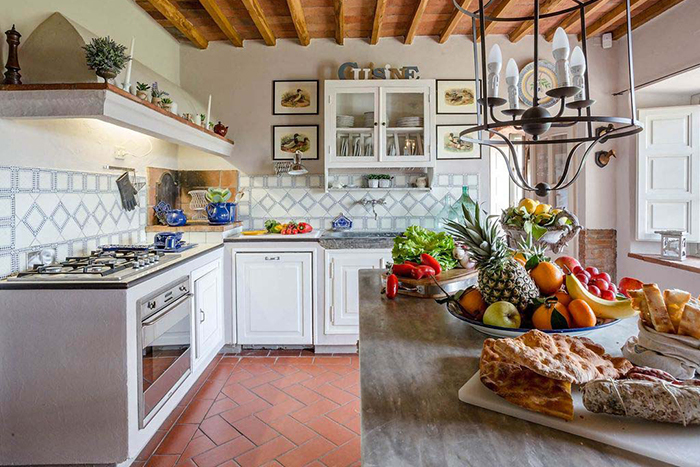 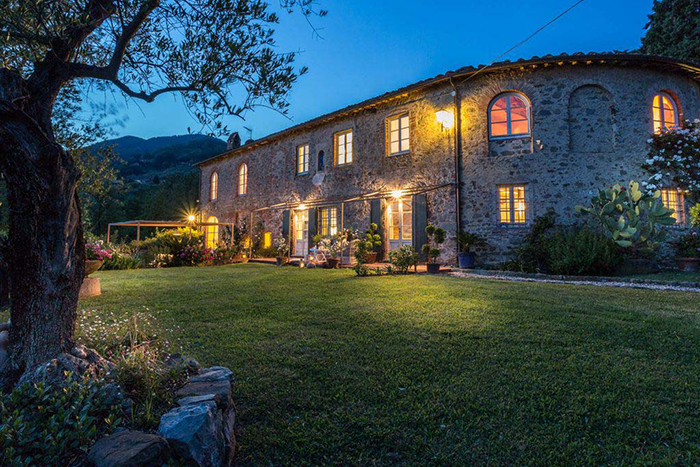 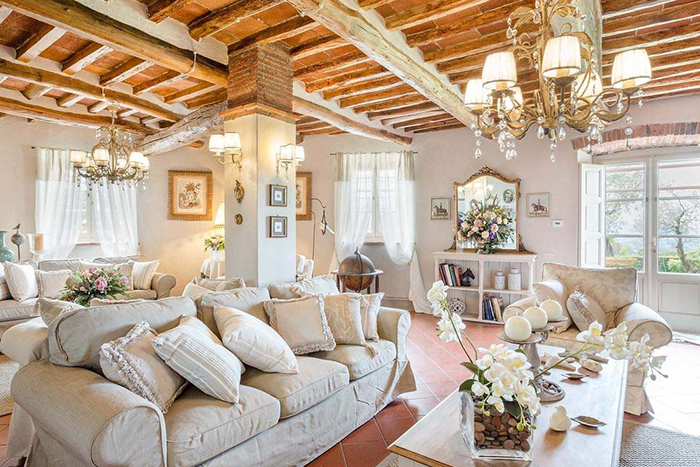 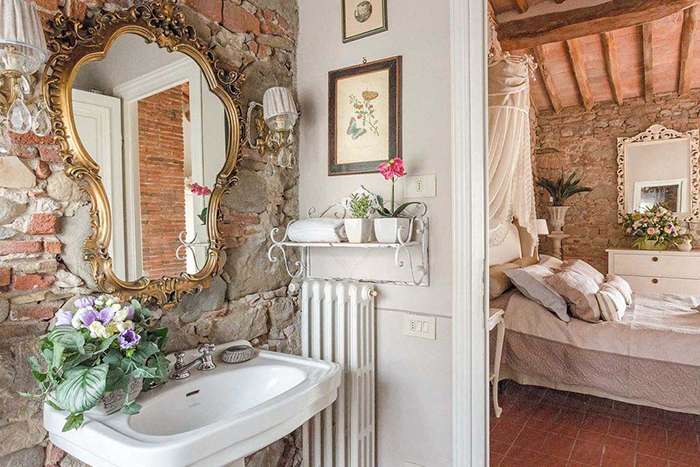 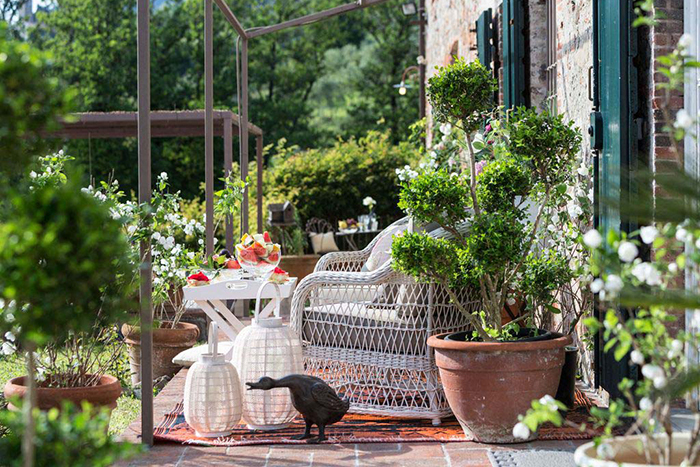 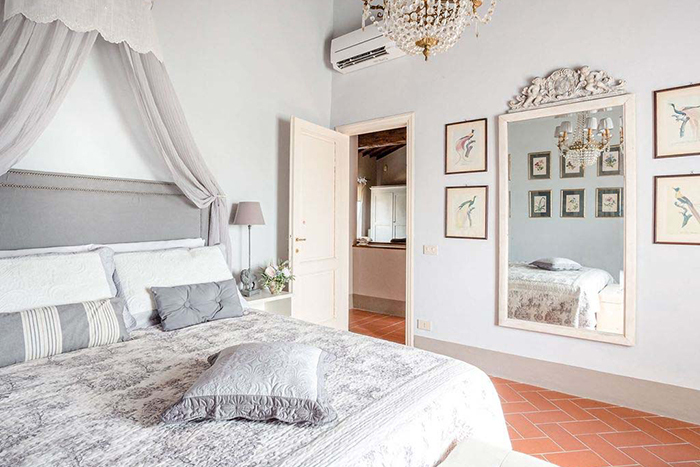 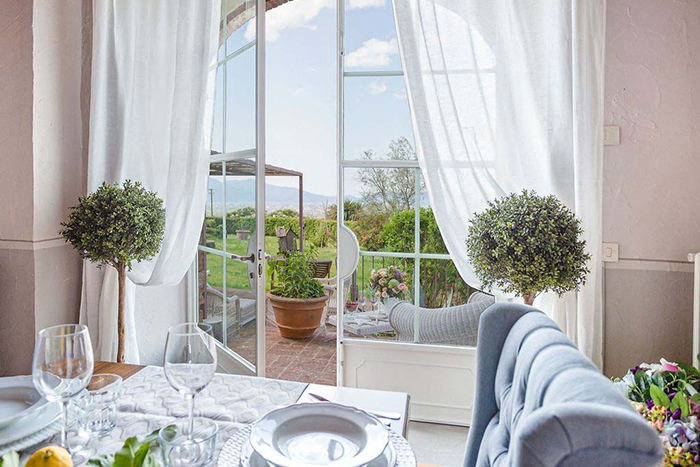 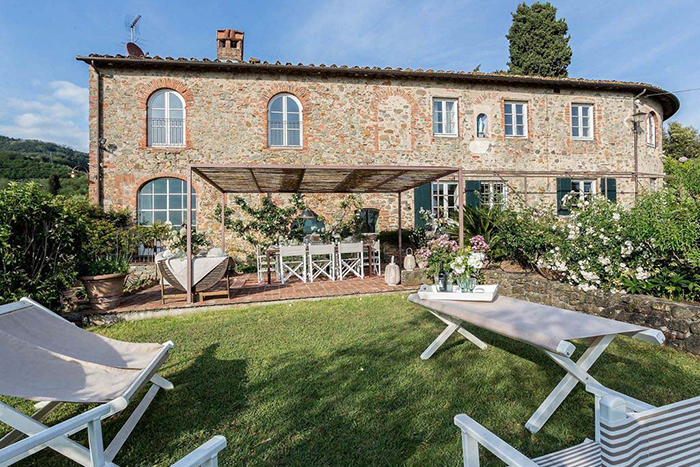 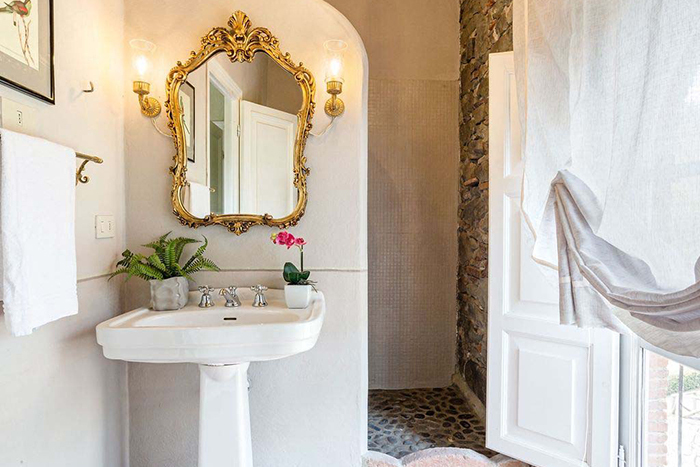 Villa Paolina is a magnificent Tuscan-style farmhouse located in the Colline Lucchesi Wine District. 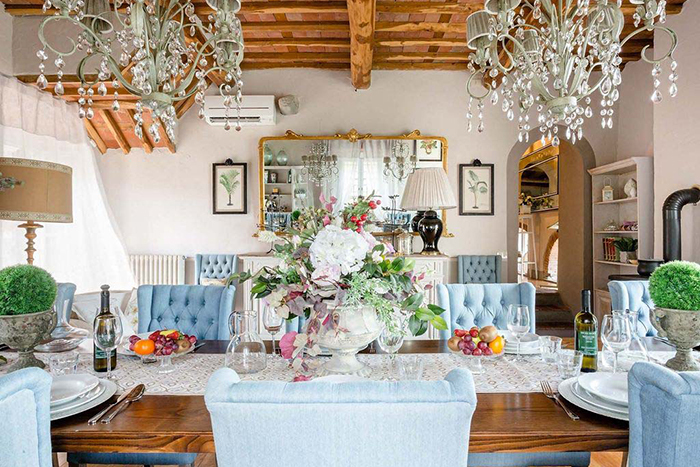 This fabulous villa offers contemporary accommodation with superb amenities, including a heated indoor swimming pool with jacuzzi (4.5 x 3.5 mts) with magnificent windows overlooking the woods and an outdoor swimming pool (6 x 12 mts) set amongst an olive grove. 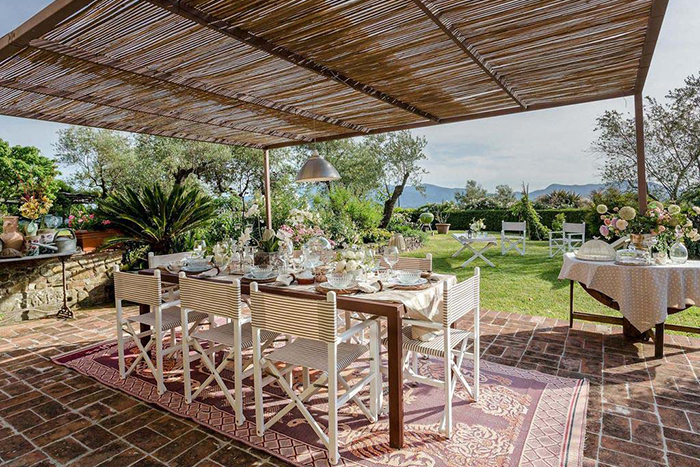 Perfectly suited to larger groups of up to 14 guests, the property is made up of a main building and a cottage. 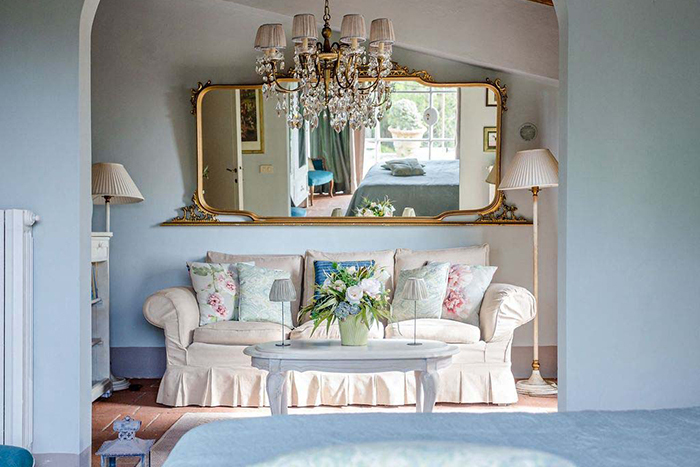 It has been painstakingly restored with guests in mind, to create a stunning, luxury country house overflowing with character and charm. 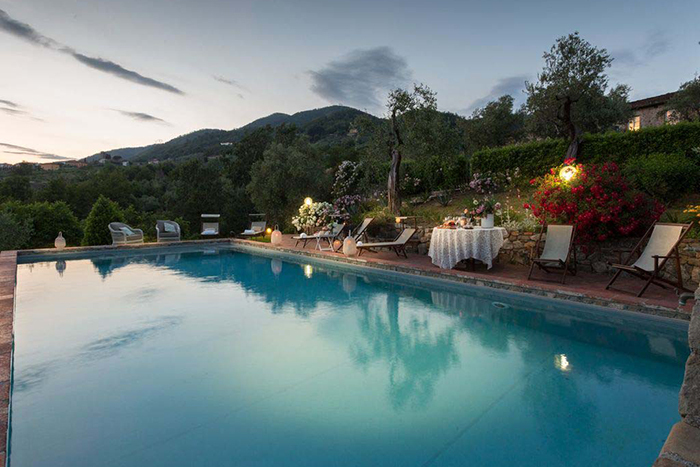 Local Tourist Tax: €4.50 per person over 14 years, payable in cash on arrival. 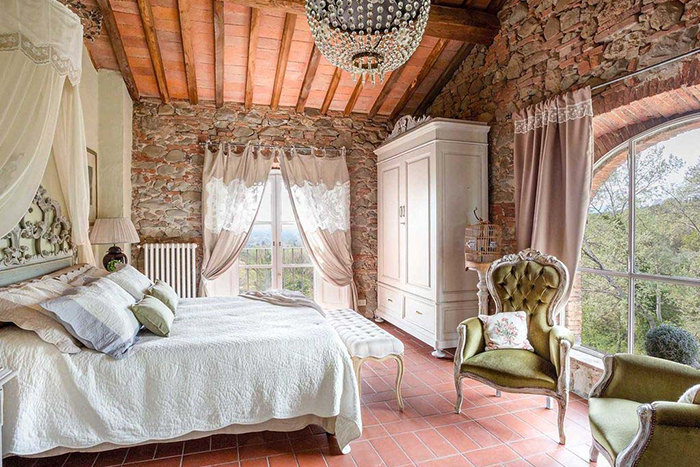 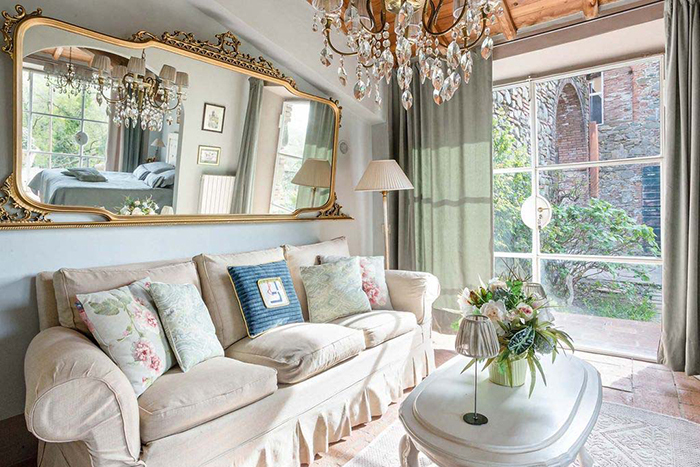 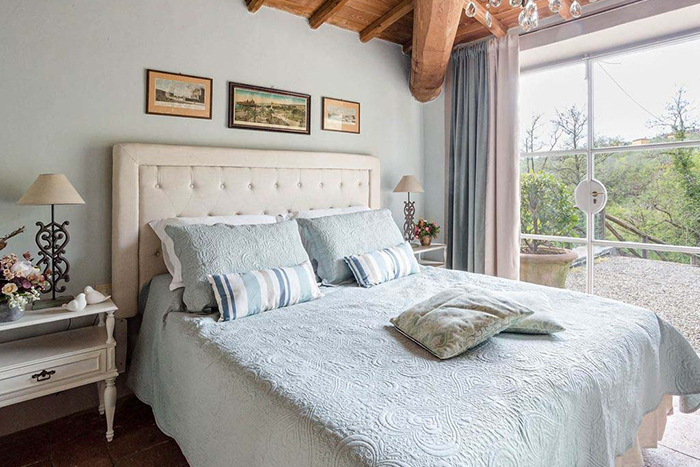 Chic and comfortably furnished, the villa is set amongst private vineyards and olive groves in rolling hills 11 kms east of Lucca in an area, which has easy access to all the major sights in Tuscany such as Florence, San Gimignano, Pisa, Cinque Terre and the beaches of Viareggio and Forte dei Marmi. 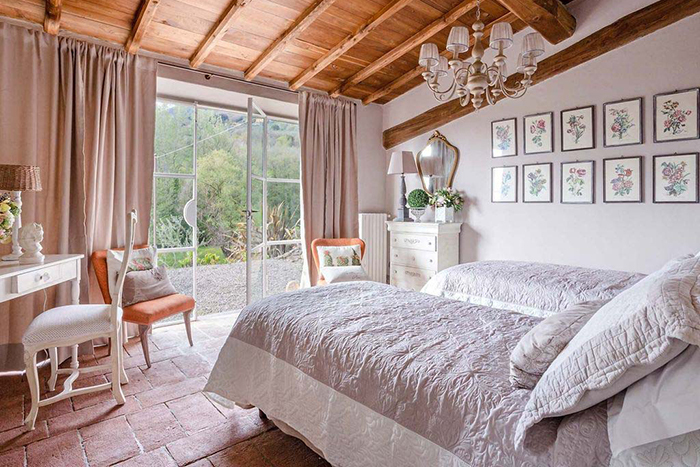 For nature lovers, exploring the surrounding countryside on foot can be a highlight of this location as there are many walks nearby both through woodland and vineyards. 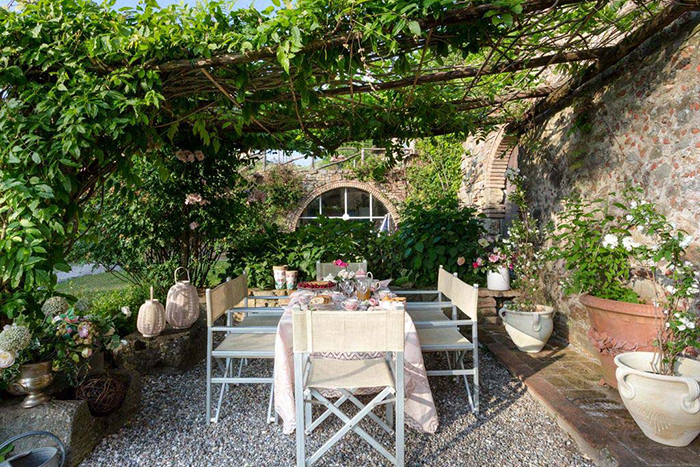 There are wineries to explore in the local villages of Valgiano and Montecarlo and some of the best restaurants in Lucca can be found in the local area. 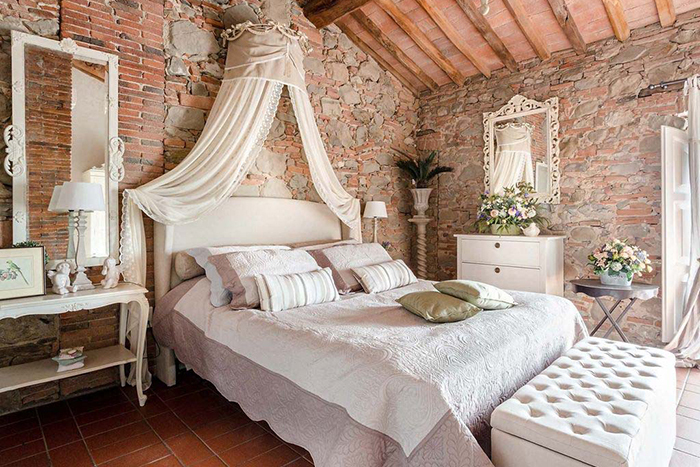 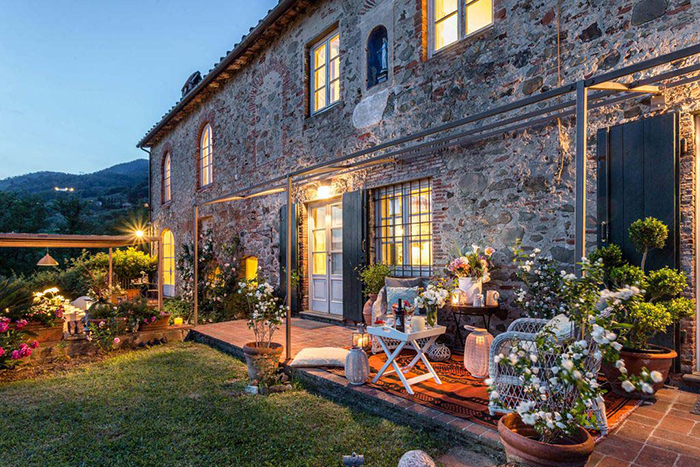 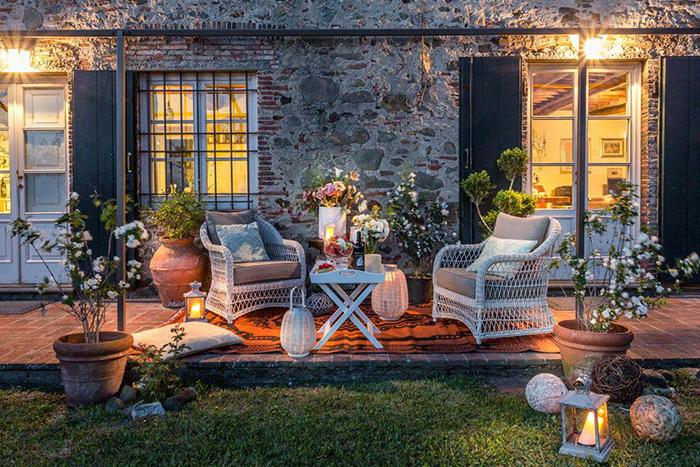 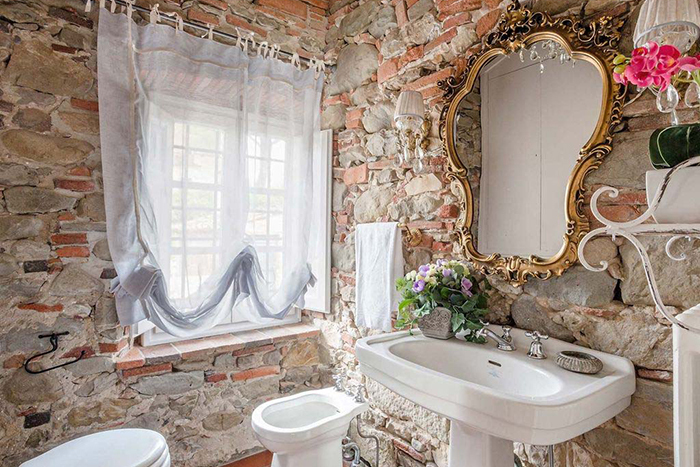 This is one of those special Tuscan farmhouses that really captures the imagination. 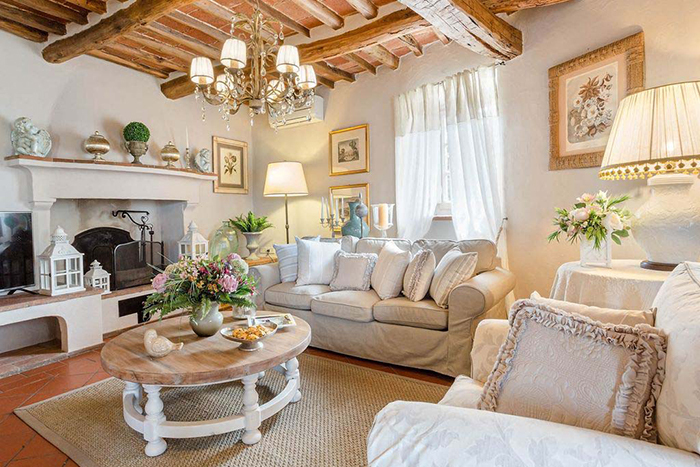 At ground level in the main building there is a spacious living room with original stone fireplace and a TV with international channels. 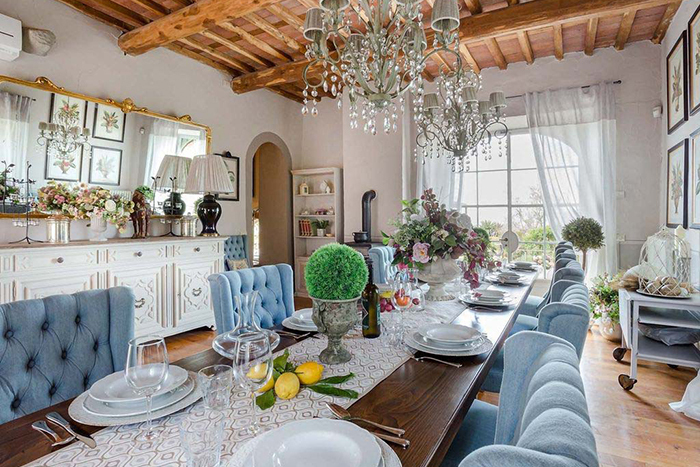 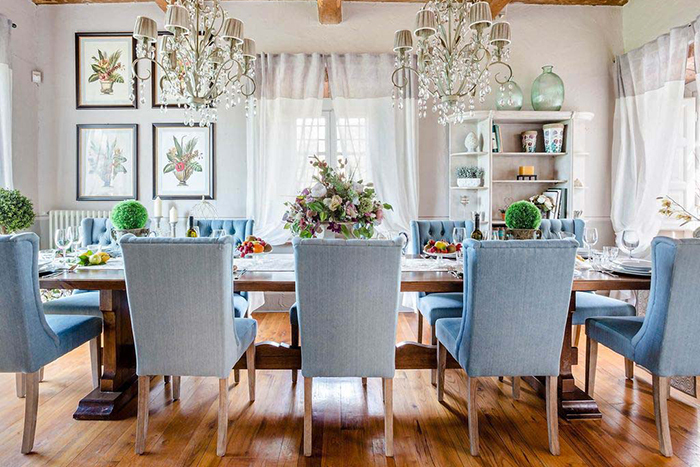 There's a fully equipped, traditional kitchen and a classically styled, open plan dining room seating up to 14 guests. 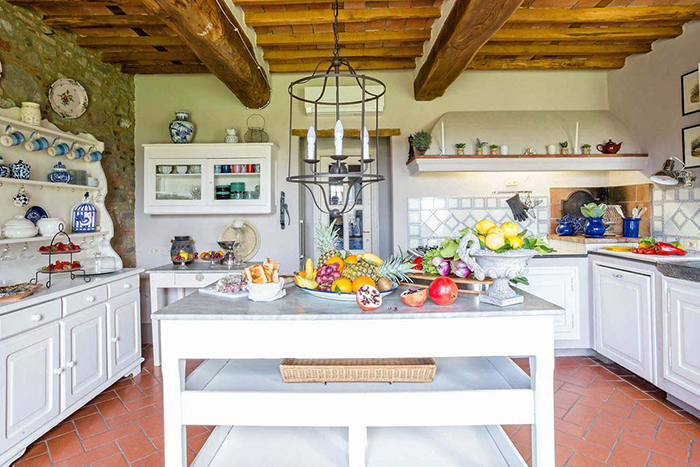 Both the dining room and a second living room on this floor open onto two pretty outside terraces: one in the sun at the front of the house where the outdoor living and lounge area is and one in the shade to the rear of the farmhouse, where an outdoor living and dining area with Weber BBQ and wood fired, pizza oven is, along with a Jacuzzi. 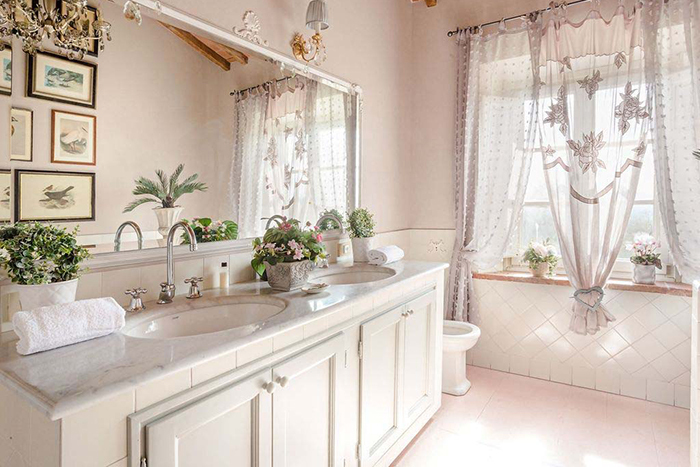 A toilet and a separate laundry room completes this floor. 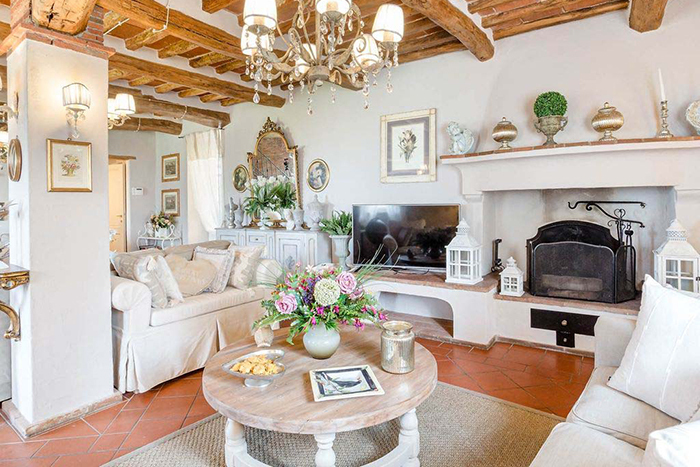 The Farmhouse is fully air conditioned and has wi fi. 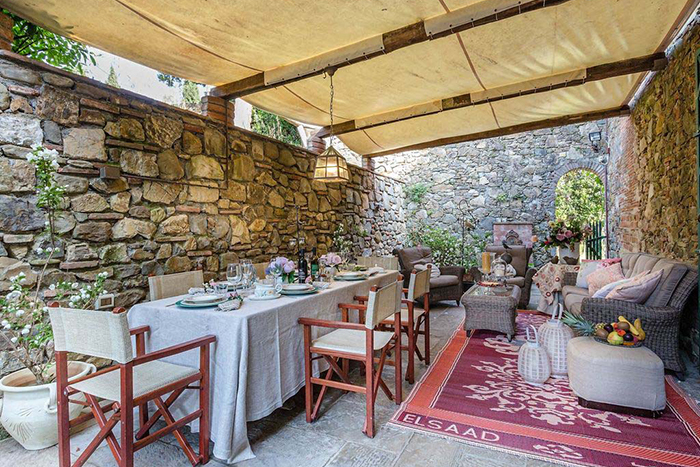 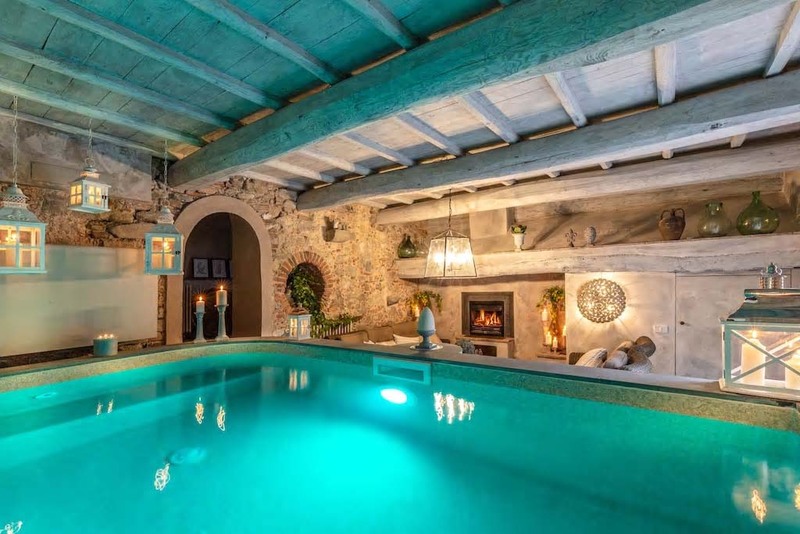 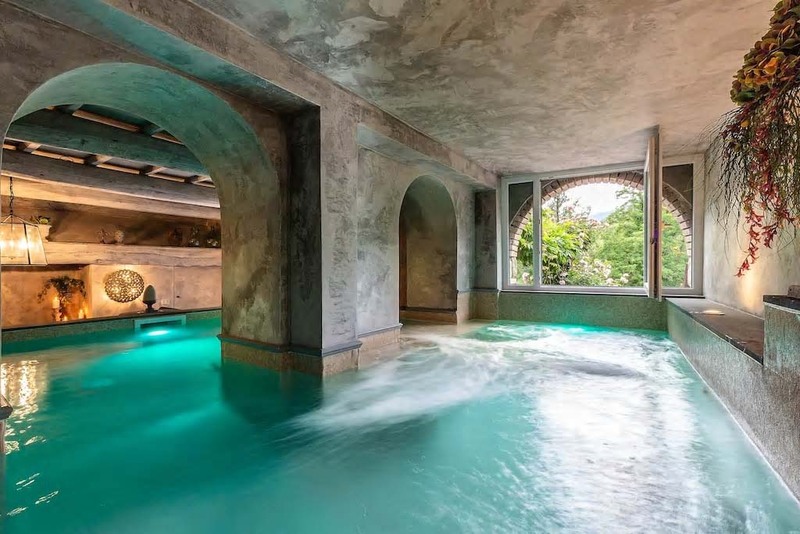 The lower floor has a thermal, salt water, heated pool (4.5 x 3.5mts) with exposed stone walls and a vaulted ceiling . 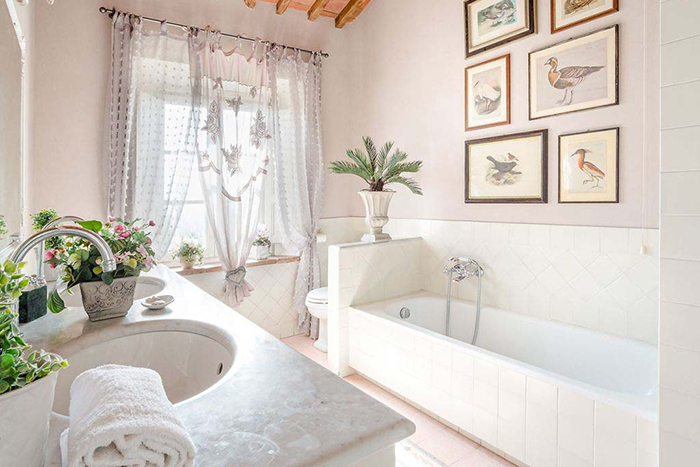 While soaking in the warm water you can admire the magnificent views over the surrounding countryside. 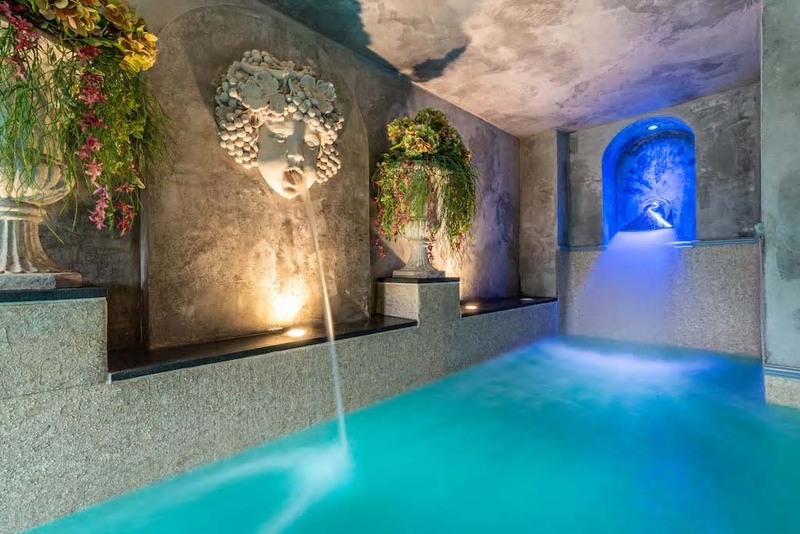 The annex is located right next to the main building (just 10 metres away) and has a terrace equipped as a lounge with views and direct access to the main building, There is a shaded outdoor living area and access to the jacuzzi tub, hidden in the manicured garden terrace, overlooking a waterfall in the woods. 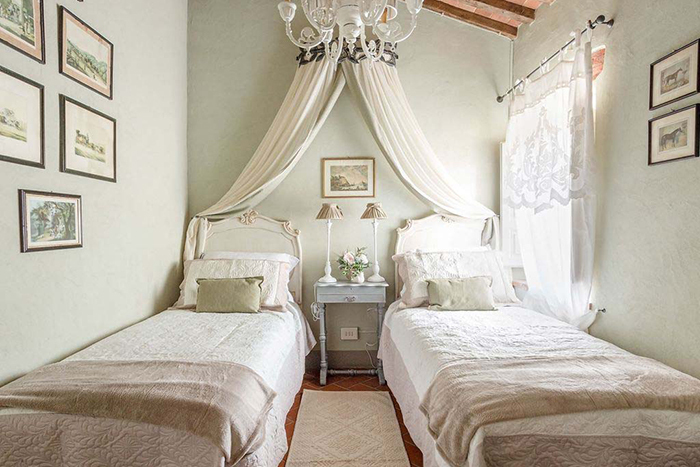 The annex has a 1 bedroom suite with a king sized bed and living area and 1 bedroom with twin beds. 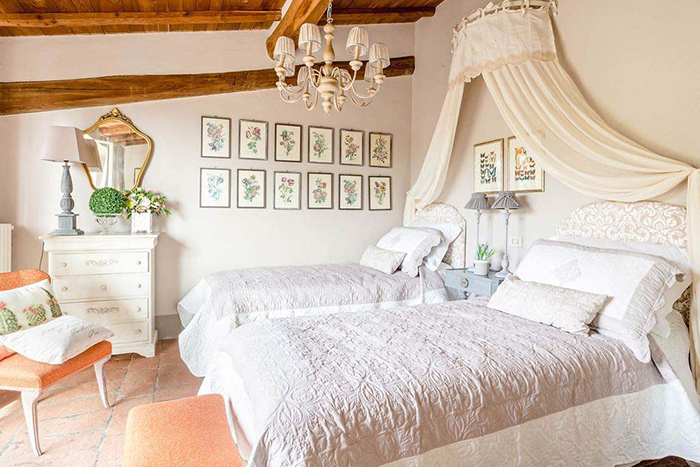 The two bedrooms share a bathroom with shower and they both have french windows looking out onto the panoramic terrace. 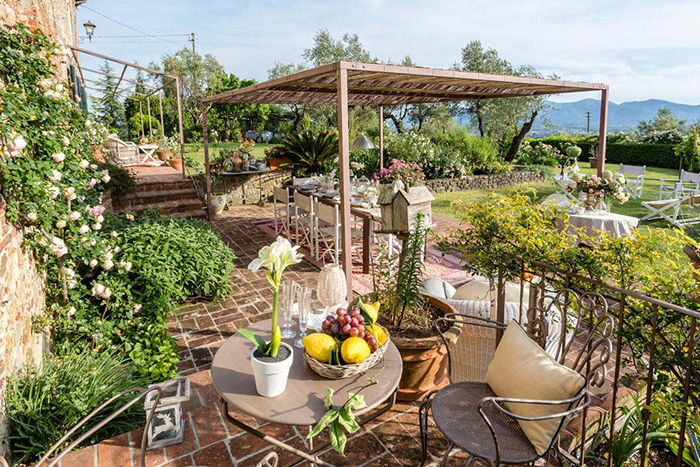 The house is surrounded by a very well kept garden. 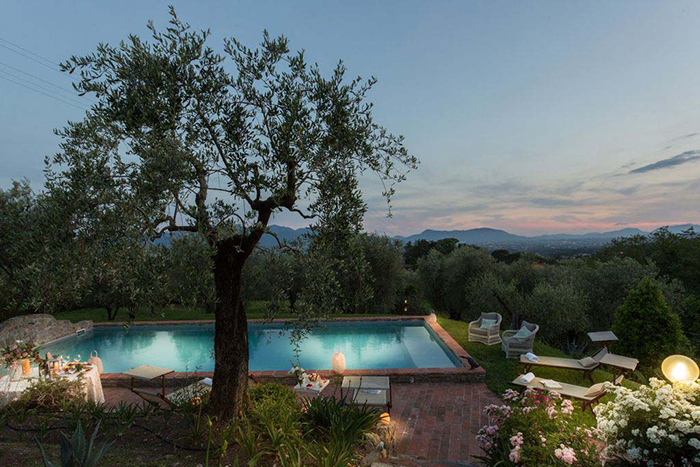 There is a private (6x12mt) outdoor swimming pool set in the garden, just below the house amongst the olive trees, perfect for relaxing under the sun. 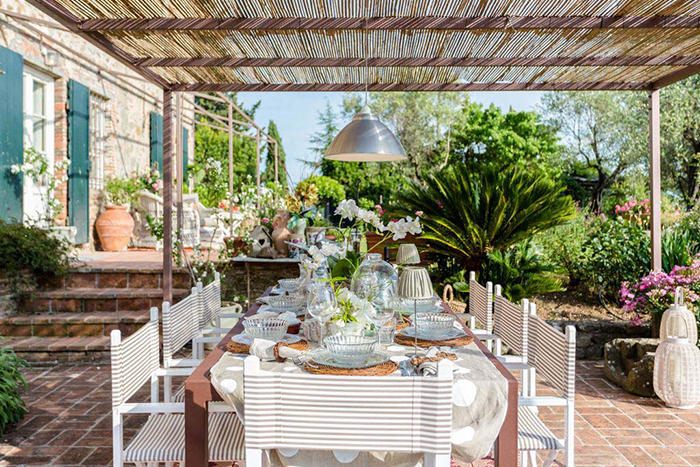 There are a number of outdoor areas for dining as well as relaxing, all superbly furnished for your utmost comfort.